The overwhelming majority of shoppers look to online searches before shopping locally. Therefore, it’s important for marketers to consider local search, especially for e-commerce websites that sell in-store as well as online. Local search has been, and will continue to be, an important resource for marketers to reach their customers. The power of local SEO can help elevate sales—both in-store and online. By investing in strategies such as local SEO, marketers can reach prospective clients at the very moment in which they are searching. Local search optimization helps drive this process by providing the right content in the right places at the very moment of search, which inevitably leads to higher conversion rates. And unlike browsing several websites for a deal, consumers who are on the lookout for local businesses typically need a service or product immediately. This is why retail stores and restaurants are prime examples of businesses that can benefit from local SEO. Google and other major search engines are working to adapt their search results in order to provide increasingly relevant information to their users. As a result, local businesses should utilize the power of search engine optimization to help elevate their results. 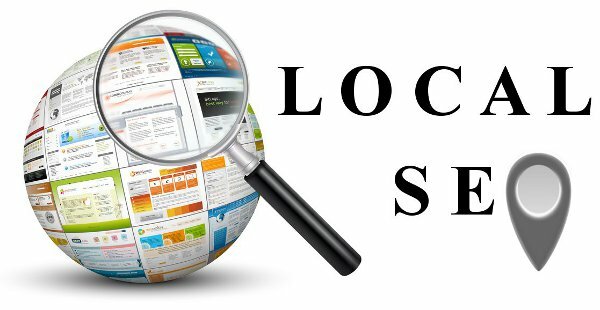 Even though search engine listings, reviews and local directory citations are important and influential for rankings, one of the most overlooked tactics for local SEO is on-page optimization — which accounts for almost 20% of the factors that influence local search ranking. Many marketers are overlooking on-page optimization as part of their local and overall digital marketing strategies. In order to be successful and indexed by search engines, sites need to be optimized with detailed and accurate business contact and location information. Lowes takes the hassle out of home improvement and repair with quality service and exceptional products. We love their website—their get inspired section is fantastic content. However, Lowes is missing out when it comes to local search optimization. When a location finder such as this is housed within an iFrame, it is impossible for search engines to index local content. In this example, you will notice how the URL remains the same, regardless of which location selection is made. Ann Taylor makes beautiful clothing that appeals to women of all ages and inspires them each to be (and look) their best each and every day. Their main product pages of their website are clean and easy to use. However, once you navigate to their store locator, you notice a shift in the overall aesthetics of the page — an ever so slight shift from the rest of the branding is evident. Ann Taylor is not getting all of the benefits for each location when it comes to local SEO. Notice how only the zip code changes and is displayed once a search has been conducted. No individualized landing pages exist. In this example, only the zip code changes in the URL based on selections made in the location finder. Jiffy Lube helps keep vehicles running. They are the pioneers in the quick oil change and have more than 2,000 locations. Their location finder is a prime example of how to create individualized landing pages for each location. This final strategy is the only way to index individual locations for search engines. By adding dedicated local pages — each with a unique URL — search results will be optimized to get customers in the door more often. Jiffy Lube not only has dedicated local landing pages, but provides each with local service information. When combined with paid advertising and social media marketing, Jiffy Lube will find a huge benefit to having such detailed information about each of their locations. Complete and accurate contact information. A description of services that are offered from any given location. Structured data, which helps assist with search indexation. By using dedicated landing page that are optimized to the fullest, marketers have the best chance of increasing revenue through improved search engine rankings.